Press "SIGN UP" on the front page of the GameBattles mobile app. Check your inbox for an email with instructions on how to activate your account. EXPLORE: From this section, you can find the game you wish to compete on as well as see the latest GameBattles news. MY COMPETITIONS: This section shows all teams that you are currently a part of. INVITES: This section shows all current invites to teams that you have. You can accept or decline team invites from this section. ME: This section is where you can edit your account, purchase credits, and find support. Link your PSN/Gamertag through the "ME" section. Find the game you wish to compete on. This can be accomplished through the "EXPLORE" section and then pressing the search icon on the top right, or by clicking "ALL GAMES" under the featured games section. Select the platform you wish to compete on. Select "LADDERS" and choose the ladder you would like to compete on. Press "JOIN LADDER" and then enter your team name and complete the rest of the form. Be sure to familiarize yourself with the rules for the arena that you are competing on. From your team page, press "FIND A MATCH". Create a match finder challenge by pressing "CREATE A MATCH CHALLENGE". Accept an existing match challenge by pressing the challenge and then press "ACCEPT MATCH CHALLENGE". Once your team has an upcoming match, on Infinite Warfare select "GAMEBATTLES BETA" that is located inside of the "MULTIPLAYER". Your earliest scheduled match will appear inside of the GameBattles lobby. When you are ready to join, select "JOIN GAME" and you will automatically be entered into the match lobby. Once in the lobby, select "READY TO START." Once all players in the lobby have joined and have readied up, the game will start. After a winner for the match has been determined, the match results will automatically be reported on GameBattles. More information about GameBattles Integration can be found here. Once a match challenge is accepted, it will show up on your team page. Click on the upcoming challenge to review the match details page. If your team hosts first map, invite your opponents to a private lobby and set up the rules/map set accordingly. If they host, wait for a friend request/invite. Teams are given 15 minutes after match scheduled time to show up or they forfeit. In between maps, teams are allowed 5 minutes before starting the next map. Play the matches and ensure your team takes proof (video recording of the last ~30 seconds) to show that you won, or if the opposing team forfeits. The proof must show the gamertags, scoreboard, and end results of the map. With picture proof, take at least a snapshot of the final score of each map. Taking proof using your phone or another recording device. More information about GameBattles proof can be found here. Once you've finished playing the match, report the scores on GameBattles via the match details page on your team. You can only report the scores after the match time. If the match becomes disputed, both teams must submit a Match: Scores Dispute ticket within 3 hours explaining the issue including their proof to back up claims. A ticket can be created from the GameBattles app by selecting "Tickets & Escalations" under the "ME" section. Once a ticket is submitted, a staff member or the community will review both teams tickets and decide on the outcome of your match. 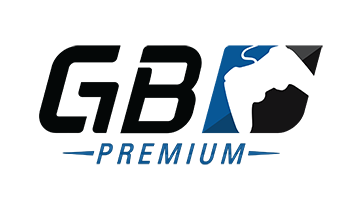 If your match is Premium, a GameBattles staff member will review the match . GameBattles ranks each individual player, called MLG Rank as well as each team on GameBattles. MLG Rank is based on the amount of XP your account current has. MLG rank uses an ELO ranking system, which means that beating higher ranked players will grant you more XP than beating lower ranked players. More information about the MLG ranking system can be found here. Team XP is gained by winning GameBattles matches, and the XP gained for each match is based on your teams rank versus your opponents. If your team reaches a high enough rank, your team will be able to compete in GameBattles playoffs, which allows prizes such as a trophy on your profile and bragging rights. On the GameBattles mobile app, you can see open tournaments by selecting the game and console you wish to compete on, and then selecting "TOURNAMENTS". To compete in tournaments, you must first pay the credit entry fee. Credits can be purchased through the GameBattles app under the "ME" section. GameBattles also hosts several Premium tournaments each month, which require no entry fee other than being a Premium member. For more information about GameBattles Online Tournaments, please see see the Online Tournaments FAQ here. GameBattles Premium Membership offers exclusive features on GameBattles such as Premium staff support, free Elite Premium tournaments, additional customization, and much more!